Once an original family house on a deep block, this charming clinker brick single level residence now occupies a large front position on a sizable allotment (269sqm) in a quality development of only three residences. Having maintained its impressive size and high ceilings plus a number of classic features throughout, the renovated interior and landscaped outdoor areas provide comfort and privacy in a modern and peaceful setting. 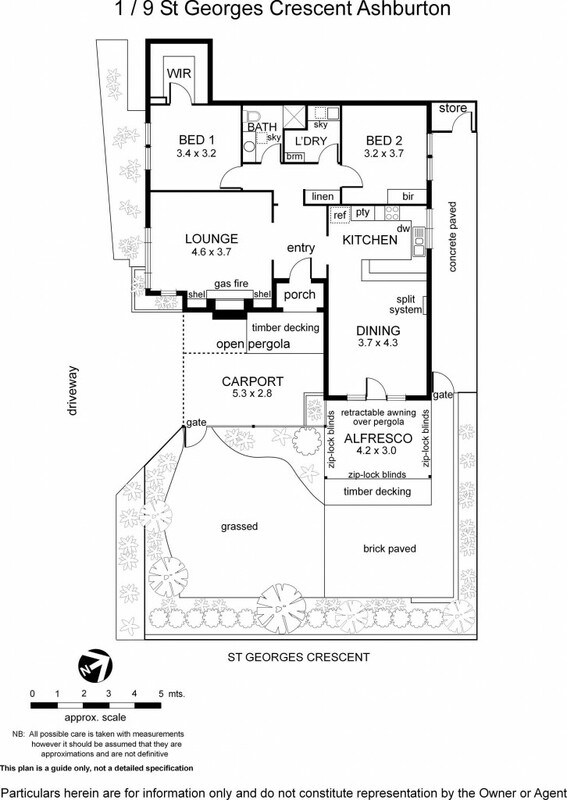 The sizeable floorplan includes entrance hallway leading to main bedroom with walk in robe, second bedroom (built in robe), main bathroom and a separate laundry. Multiple living areas are adorned with original polished floorboards and include the formal lounge which is complete with gas log fire place and a separate kitchen with open plan dining area which receives an abundance of natural light. Outdoor areas commence with expansive timber decking enclosed by ziplock blinds complementing the electric awning to create a unique outdoor entertaining area overlooking the established and manicured gardens. Just some of a long list of additional features include: stone benchtops, solar power, attic storage (10sqm), garden irrigation, garden floodlights, reverse cycle air conditioning, ducted gas heating. Convenience is the key with a highly desired location only moments to Gardiner's Creek and walking trail, Darling Park, walking distance to Alamein or Darling train station, bus access (top of street) to Glen Iris, Camberwell and Chadstone plus easy access to Monash Freeway, Chadstone Shopping Centre, Ashburton Village and cafes and numerous quality schooling options.